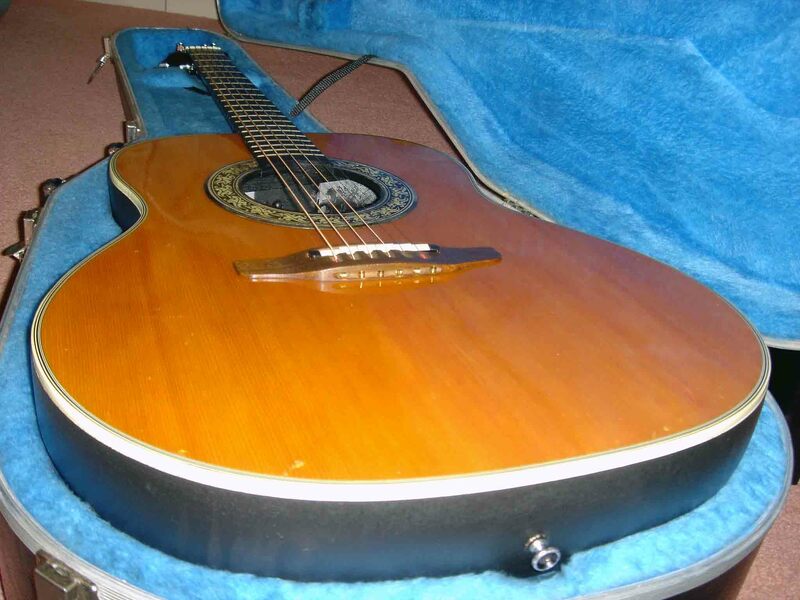 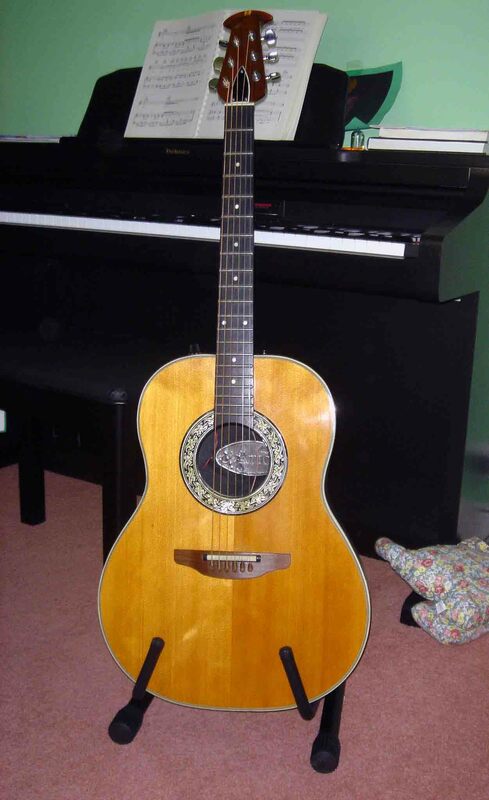 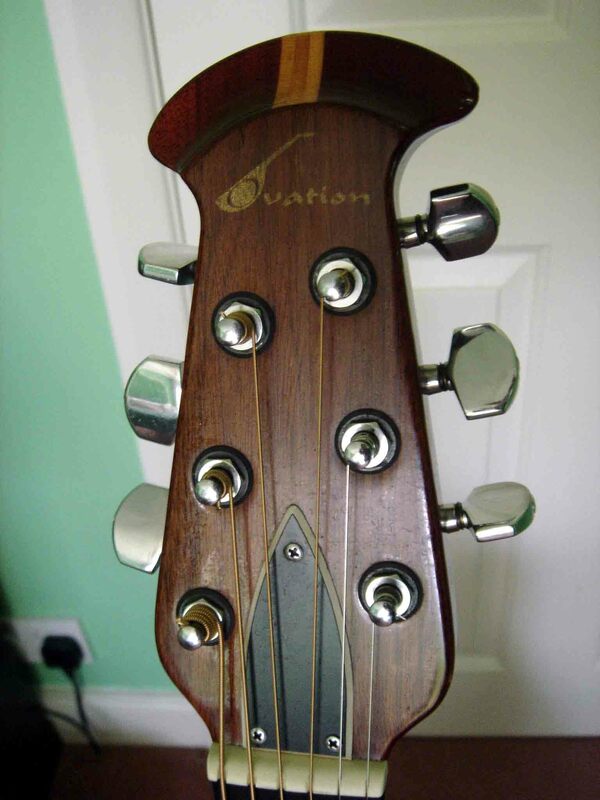 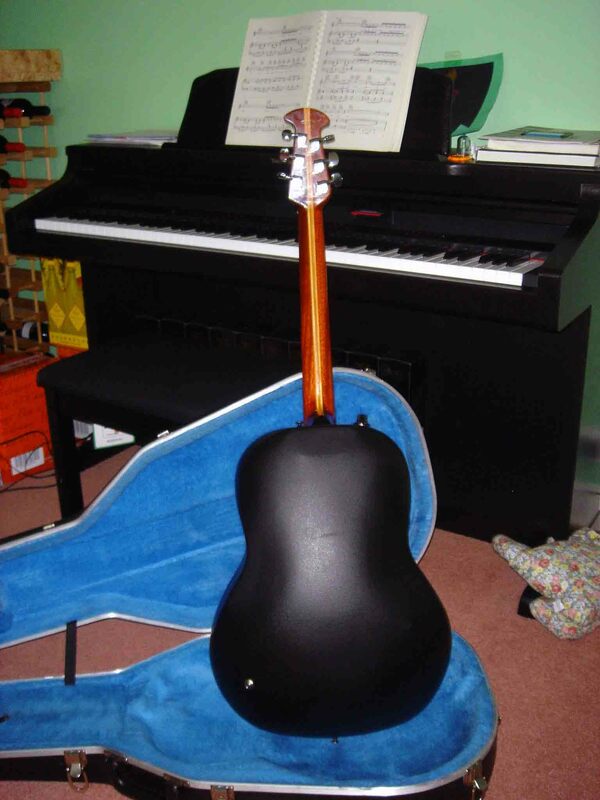 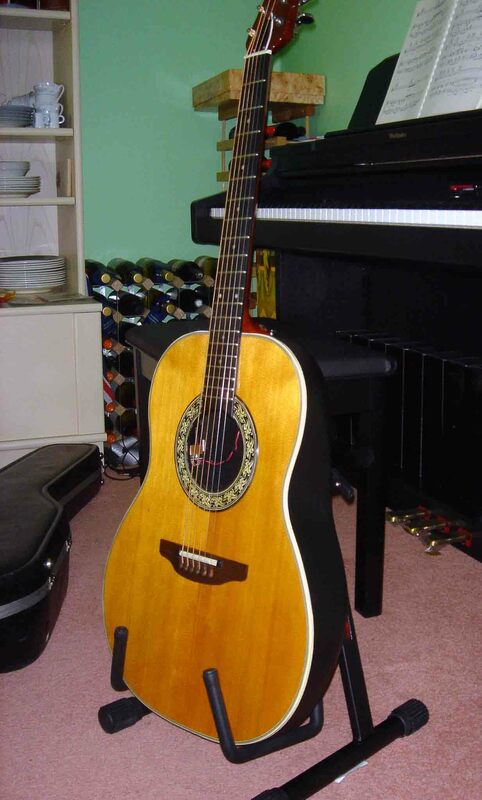 Solid value USA made Ovation with pickup. 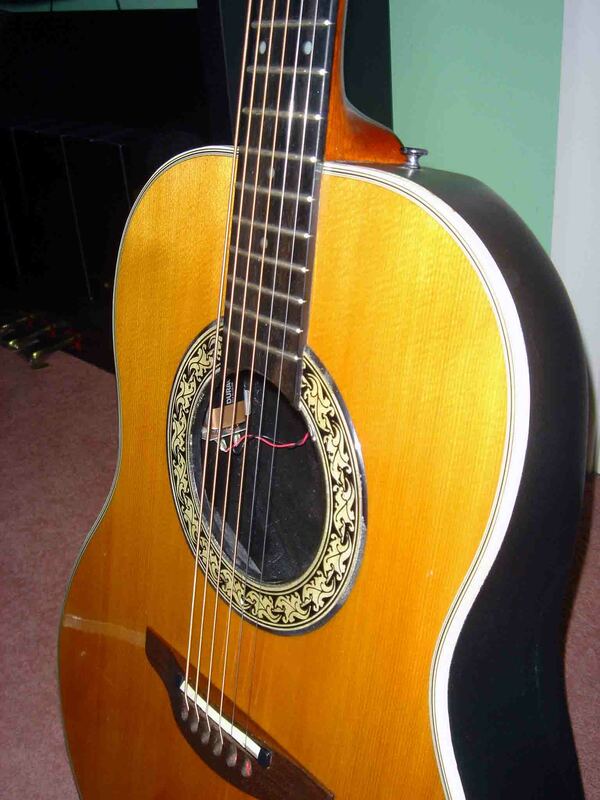 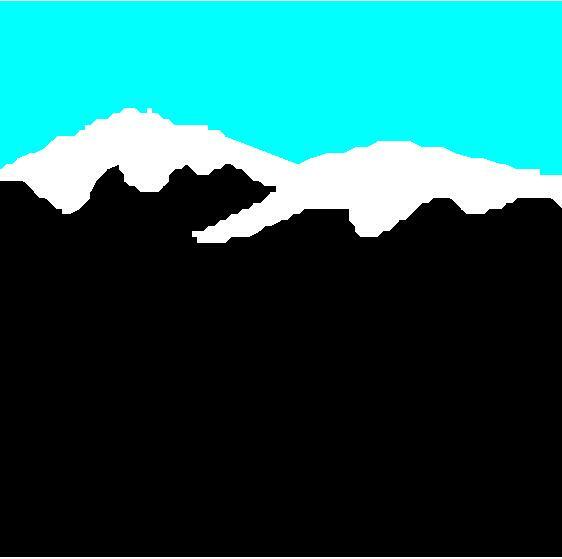 A few laquer cracks, but very playable. 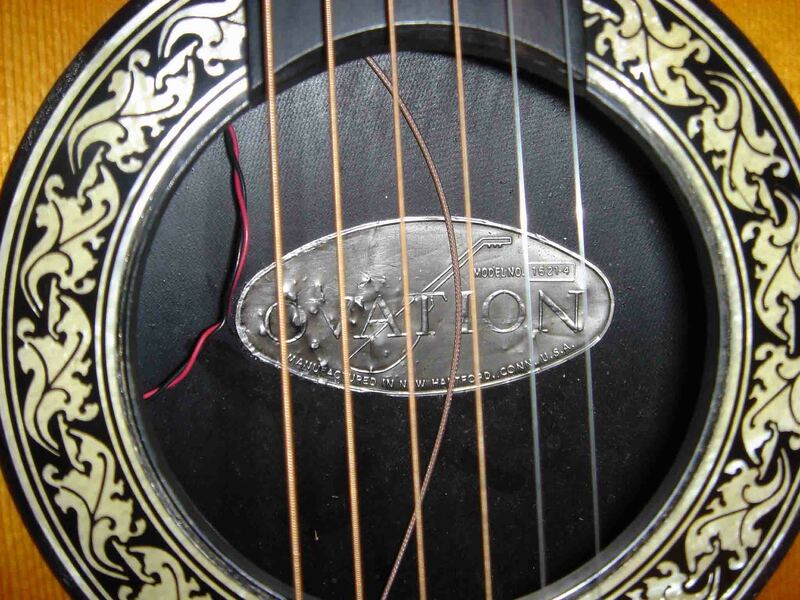 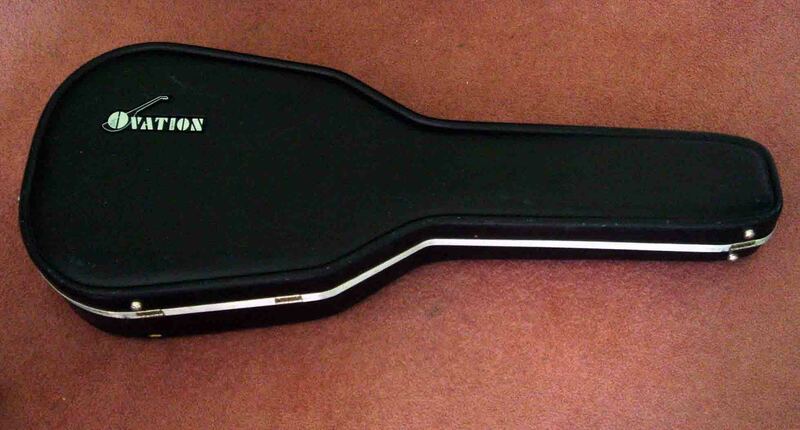 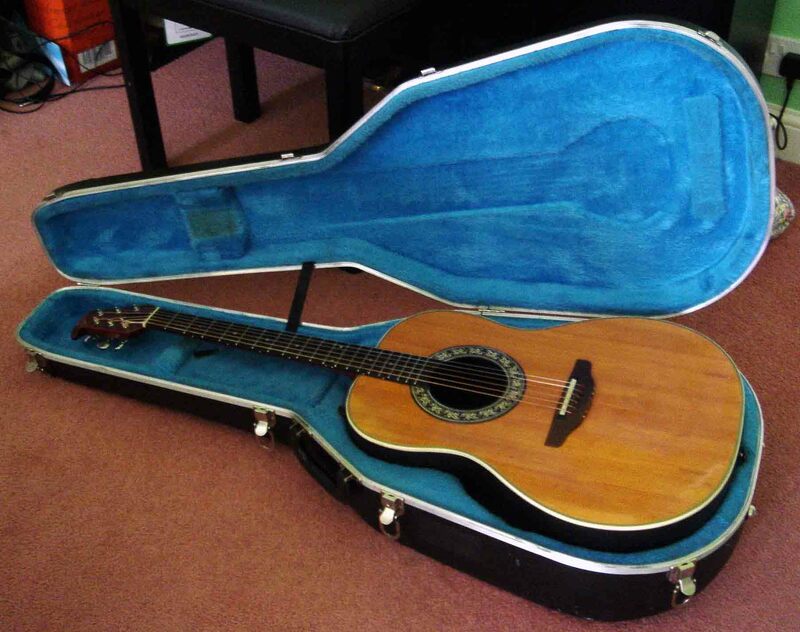 Comes with Ovation hard shell case.